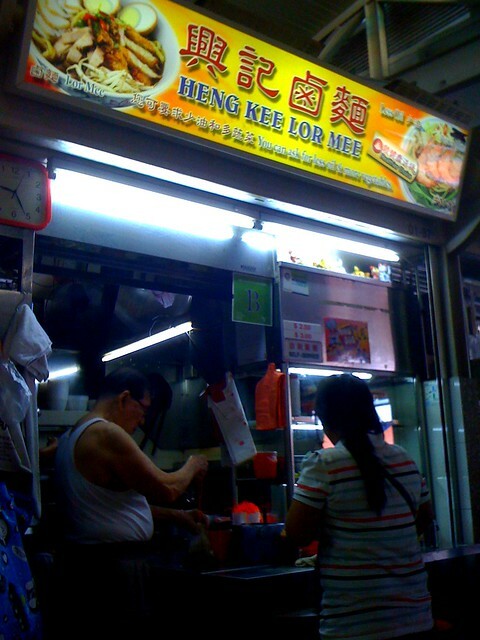 This stall in the Bendemeer market serves one of the nicest lor mee. You might be wondering what made their lor mee tastier than others. 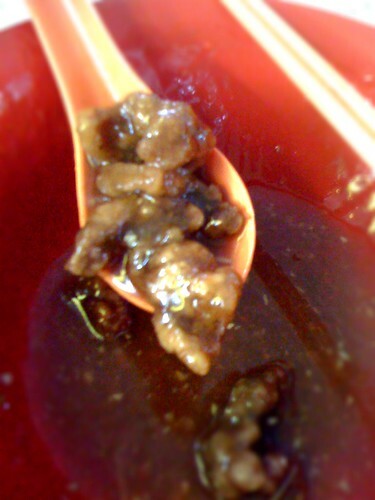 The answer lies not in any secret recipe but simply in the addition of those wonderful fried pork bits. It provides that much needed crunch to the otherwise gluey bowl of noodles and it is especially yummy even when the fried pork bits are soaked in the lor mee gravy. Hence, I always like to save the best for last! 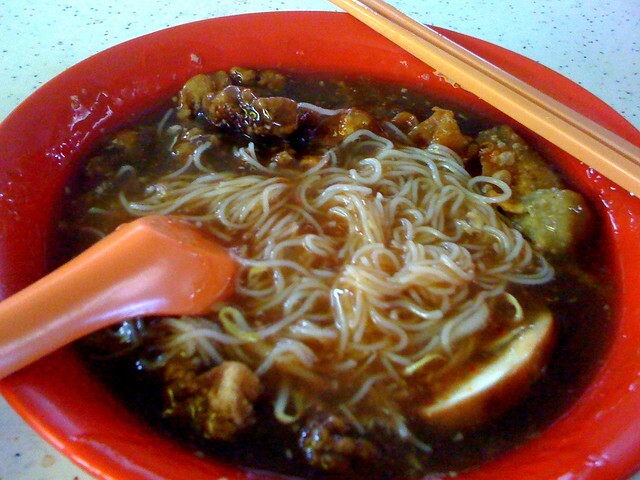 Priced at $2.50 for a regular bowl, it is a definite must-try! But be prepared for a long queue on weekends where the stall normally closes as early as 10am! I am now in the process of meeting as many food bloggers as I can and I found your site Food on Foot recently and was pretty impressed. I've added your site to my Foodie Blogs list here: http://www.eatingbangkok.com/foodie-blogs/ and would also like to add you to my blogroll.